New to Aldershot & District as No 488 in I 964 this bus was based at Aldershot. When the National Bus Company was formed it became Alder Valley 815 and operated for a number of years before being withdrawn. It was sold to Prestatyn Coachways and then moved to Locke School of Motoring in Newton Abbot Devon. 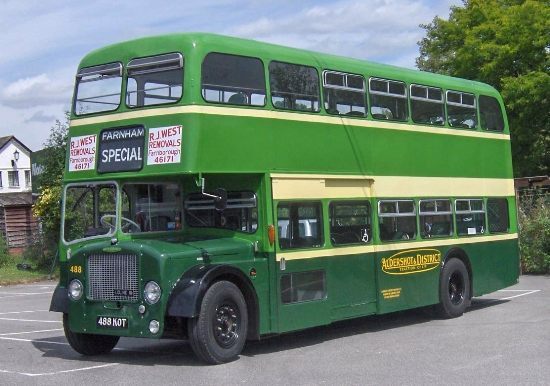 The bus then moved north to Huddersfield and was rescued by the Society in 1999. 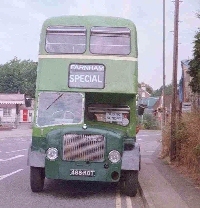 The bus was initially stored in Northampton and a considerable amount of work was carried out to make the vehicle roadworthy. It was then that 488 moved south under its own power for the major restoration work to begin. Externally repainting has been carried out but a few body panels still need to be replaced. The interior is just starting to be refurbished with new seating throughout.